The life pace imposed to us today is terrible. Most of us spend majority of our time automatically running from one place to another doing all sorts of various things most of the time without even thinking about the same but simply trying really hard to do them within very limited time frames. Quite often when we run around competing with ourselves and with time we lower our guard and become somewhat reckless; something that our children quite often take advantage. Children do not do this because they are bad; they do it because they are curious and this is their way to learn about the world and to discover the same. Well when it comes to your home there are one million things that may eventually put you or your children in danger. Most of the time these potential hazards are not very evident and therefore we fail to spot them. One thing that may definitely endanger you or your child if improperly handled is your garage door. Garage doors are item that most of the parents would never remember to put on their child proofing list. And off course in a certain they would be right since garage door is not something you can cut your finger on or you , you can swallow, you can slip on and similar. 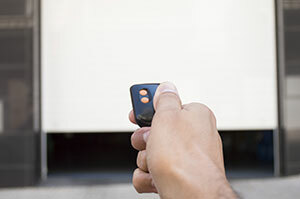 Unfortunately garage door may hurt your child in much more serious ways and therefore it is absolutely indispensable you always know whereabouts your garage door clickers. You should make sure your garage door control button is unreachable to your child. Another thing you should do is to make sure your child fully understands how garage doors may endanger them. The best way to achieve this is by explaining your child in detail about all the dangerous hiding behind garage doors.